Rest Comfortably in the Heart of Downtown Squamish. 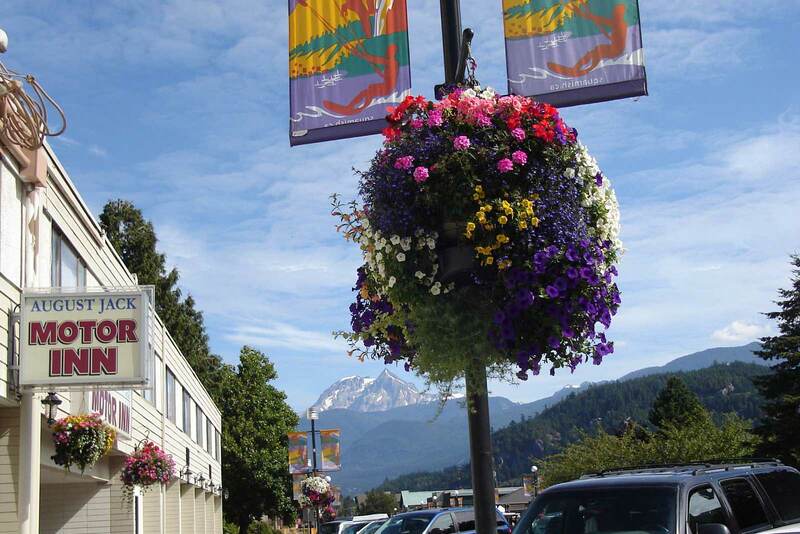 The newly-renovated August Jack Motor Inn is located in the heart of Downtown Squamish, just steps away from a variety of restaurants, shops, Howe Sound Brewing and the Squamish Farmers' Market during the summer months. Guests will enjoy the convenience and comfort of digital cable, flat screen TVs, mountain views and easy access to Squamish's waterfront, estuary as well as community parks and gardens.